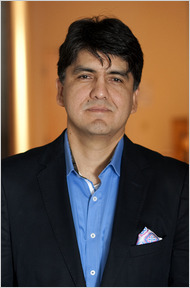 Sherman Alexie’s work, even more than that of most authors, seems to toe the line between fiction and memoir. It’s very easy to move through “War Dances” as a reader assuming it to be a work of autobiography. And then we get the poem. Our narrator includes a poem that he wrote about his father. He then goes through, point by point, and notes every way in which the poem differs from the real-life event that inspired it. It is a funny section. It’s also very insightful. It casts the entire story in a new light. We are no longer assuming the story to be autobiographical. That suspicion has been confirmed; but it also has been discarded as not quite the right question to ask in the first place. We now see the story as a lie and a truth at the same time. And that’s quite a trick on Alexie’s part.